Sheet masks are one of my favourite aspects of self-care. I didn’t always pay too much attention to my skin beyond washing it and not leaving make-up on before bedtime. However, the last few holiday seasons a certain someone (*cough*mom*cough*) gave me skin care products because apparently I’m not getting any younger… One of the things that I’ve really grown to love is using sheet masks because they really force me to actually stop and relax for a bit since if you move too much, the darn things fall off, and they just feel really good. Korean sheet masks, or sheet masks from other countries of origin, are all very trendy right now – and they can also be quite expensive. A quick look at the price tags at my local drug store showed me prices anywhere from $2.99 to $14.99 (and no, the one that is $15 doesn’t come with a cup of tea). I buy mine from a local Asian supermarket where I get them for $1 each (or less, depending on if there’s a sale or not). That said, I know there’s a better (frugal) way of doing it, so I did a little bit of research to figure out what I’d need to make my own. I am not a skin care expert, but I do know that what works for one person’s skin might not work for someone else! So take care in trying this out, but hopefully it works for you! 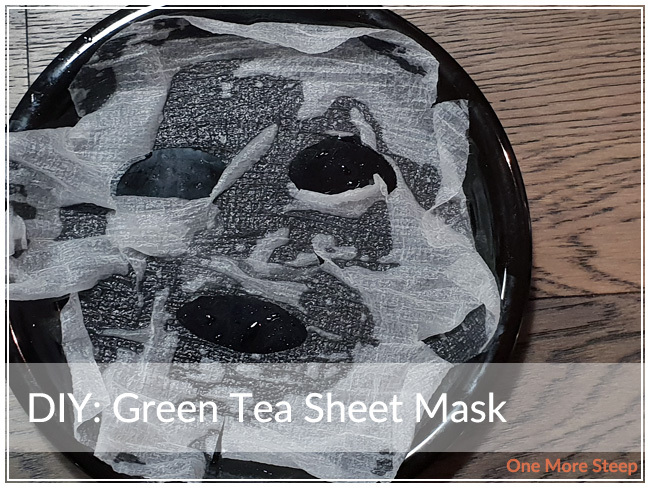 Soak the mask in the green tea until it’s fully saturated. If you’re using a compressed sheet mask like I am, it’ll open up in the tea as it gets saturated. 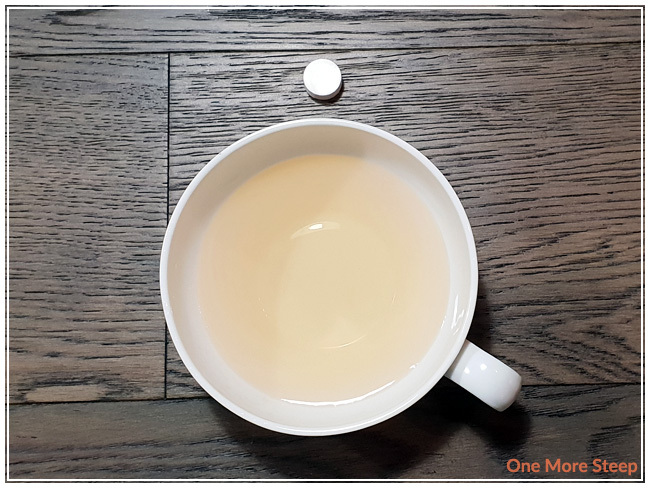 Move the mask into a bowl (or plate), add the glycerin and the contents of the vitamin E capsule. You can pierce open vitamin E capsules with a pin and then squeeze out the contents. Mix it around – you can use your fingers for this part! Apply sheet mask to your (clean) face. Leave on for about 30 minutes. After removing the sheet mask, I usually rub in the remaining sheet mask mixture into my skin. Curious about the purpose of each ingredient? Glycerin is a humectant, which means that it helps to moisturize the skin by drawing in moisture. Green tea can help decrease inflammation and clear clogged pores, plus it’ll smell good! Vitamin E is an antioxidant, it helps to moisturize the skin and help reduce UV damage.